A whole new year to squander! A chance to emerge from the tattered chrysalis of 2015 and unfurl new wings. 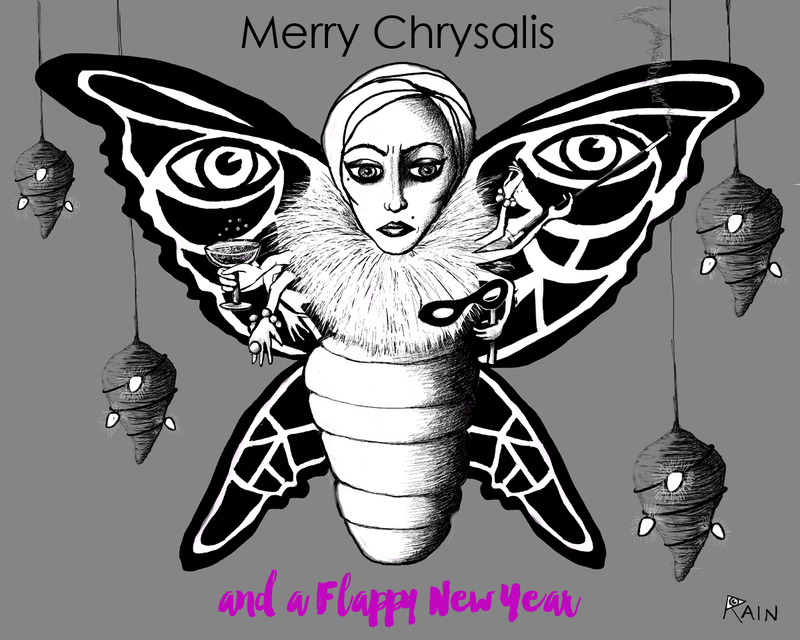 A toast to all you new butterflies waiting to fly into the new year. Best wishes for a most marvelous 2016.